We got our hands on a Package of Kaiba’s Majestic Collection Card Sleeves and figured we’d give you a quick review with a few photos. 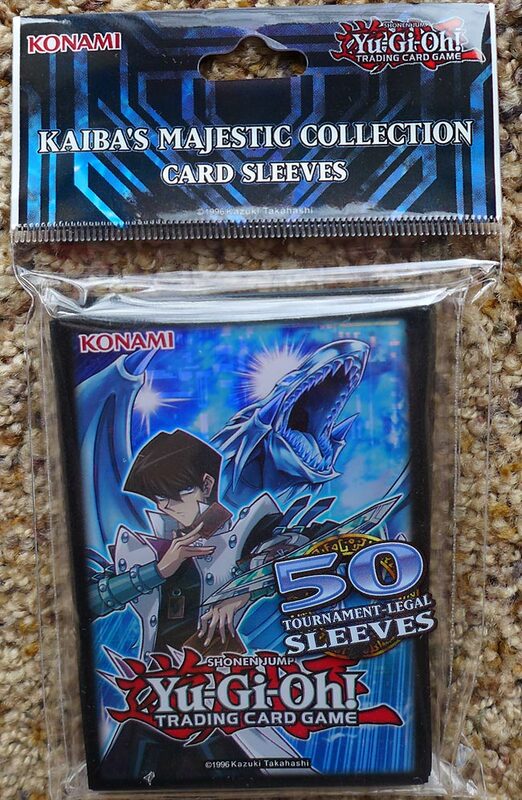 These sleeves retail for $3.99, are well-made, and fit Yu-Gi-Oh! cards perfectly. They also have a nice feel to them and have solid seams. The silver on BEWD’s claws and teeth have a reflective quality that looks pretty cool. Sleeves pretty much come down to personal taste and artwork. If you like Kaiba and BEWD, then you can’t miss here for only $4. It’s pretty much a no-brainer for 50 Tournament Legal sleeves. Strike fear in the heart of your opponents as soon as they cut your Deck with Yu-Gi-Oh! Kaiba’s Majestic Collection Card Sleeves! 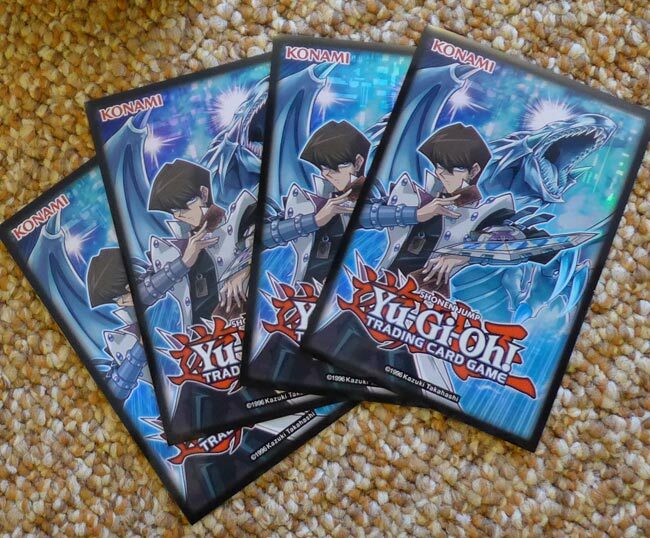 Featuring Seto Kaiba and artwork from Majesty with Eyes of Blue, your Deck will look as fly as Kaiba’s Blue-Eyes White Dragon jet! We’ll have a look at Kaiba’s New 9 Pocket Binder and Deck Case this weekend.